Two overs left. 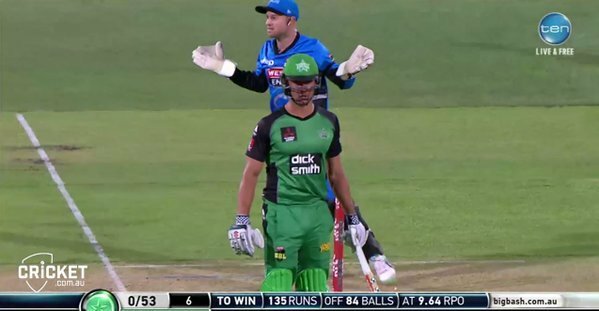 @StarsBBL need 39 runs to win. Faulkner 8* and Handscomb 2*. 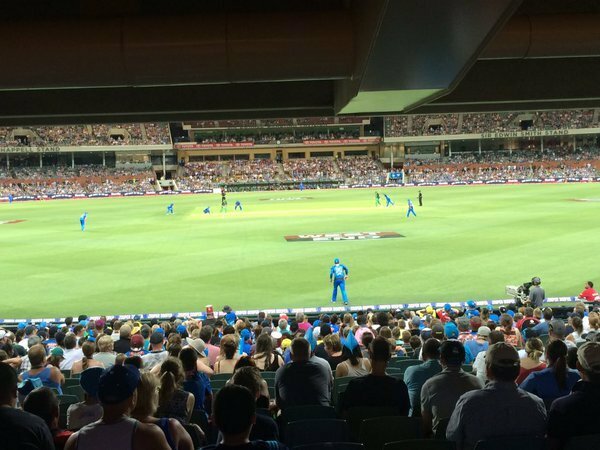 Maxwell to the crease to join KP with the @StarsBBL 2-90 in the 12th. This should be fun! HIT WICKET! Wright gone for 13! Wow! Rashid's first ball for the @StrikersBBL and Wright stood on his stumps! 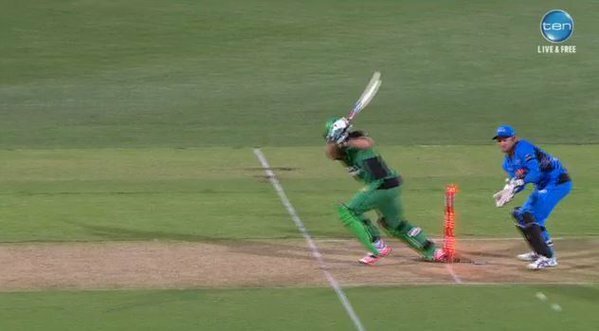 @StarsBBL 1-53 (6.1).